A charming blend of whimsy and romance, Julian Jarrold's new film is a beauty. It's an affectionate depiction of the royal family that resists swaying into parody, while the seed of the story is based on a real event. On VE Day 1945 the teenage princesses, Elizabeth and Margaret, were allowed out of Buckingham Palace to soak up the atmosphere as the nation celebrated the end of war in Europe. They went out into the crowds, went dancing at the Ritz and experienced a rare rush of freedom. Jarrold's film takes this idea and runs with it, delivering a cheeky tale that sees the future Queen (Sarah Gadon) travel on a bus (without her fare, naturally) and her sister (Bel Powley) dance in the fountain at Trafalgar Square. Scripted by Trevor De Silva and Kevin Hood (Hood co-wrote Jarrold's 2007 Jane Austen tale Becoming Jane, which also played loose with biographical details), in A Royal Night Out Elizabeth and Margaret are escorted to the Ritz, before they lose their chaperones and get separated amid the chaos and crowds. 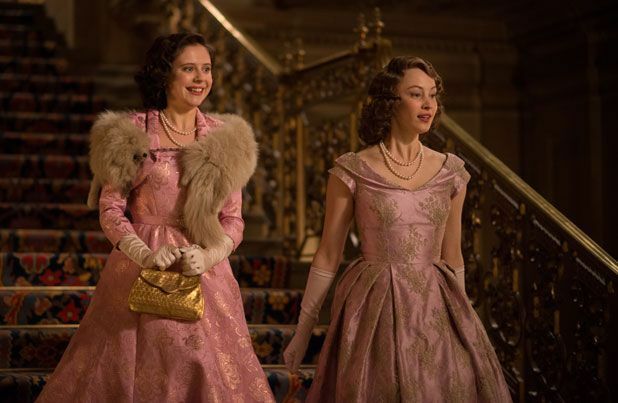 While the carefree Margaret parties like it's 1945, the more earnest Elizabeth meets Jack (Jack Reynor), a deserter and no fan of her father, King George VI (an excellent Rupert Everett). The narrative is driven by contrivance and coincidence – the princesses are never recognised and they keep narrowly missing each other – but all is forgiven thanks to Jarrold's zesty direction and the remarkable recreation of 40s London. Led from the front by the hugely likeable Gadon and the scene-stealing Powley, the cast is first-rate, with Emily Watson also on hand as the princesses' mother and Roger Allam hilarious as a royalist spiv. Tender, funny and occasionally raucous, it's what the tabloids might call a right royal knees-up. General release from Fri 15 May.